Following the apparent success of last year’s Pixel and Pixel XL, Google is back, this time with Pixel 2 and Pixel 2 XL. As you would imagine, given these are Google flagship devices, both of these phones were leaked and reported on for months ahead of the official unveiling, but thankfully, they really do live up to the hype. Both feature a fantastic camera, great build quality, plus a smooth software experience that you really can’t find anywhere else. Now, are either of these phones good enough to top the best from Samsung, LG, and HTC? The competition is high this year, but so far, it’s looking pretty good for Google and we’ve still got a couple more months until Phone of the Year voting begins. 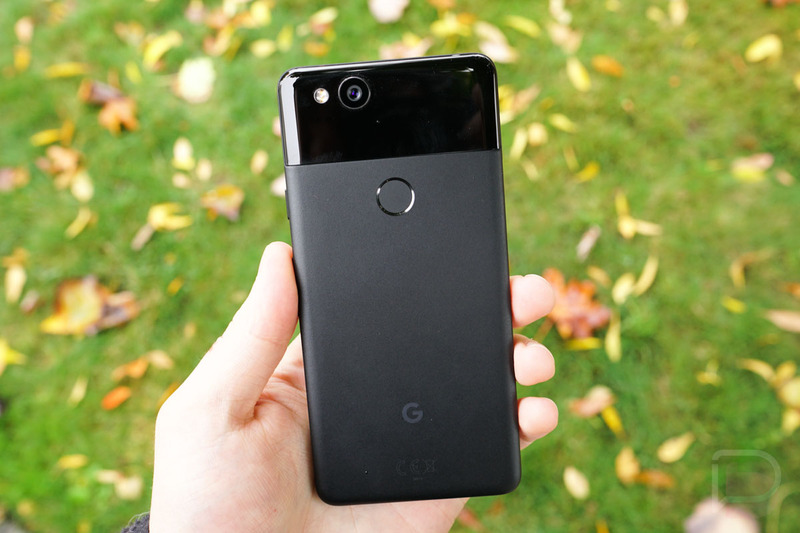 This is our Pixel 2 and Pixel 2 XL review. 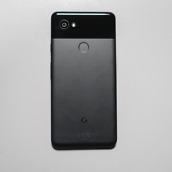 With exception to the overall in-hand size, display, and battery size, the Pixel 2 and Pixel 2 pack the same specs (official specs list), including a Snapdragon 835 processor, 4GB RAM, 12MP rear-facing camera, IP67 water and dust resistance, and rear-facing fingerprint reader. Other specs include Bluetooth 5.0, NFC, USB Type-C, dual front-facing speakers, starting base storage of 64GB, 8MP front-facing camera, and Android 8.0 “Oreo” straight out of the box. 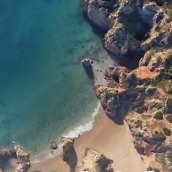 For the Pixel 2, its 5-inch AMOLED display has a resolution of 1920 x 1080 (441ppi), while the Pixel 2 XL features a 6-inch POLED QHD (2880×1440, 538ppi) display. The Pixel 2 battery is 2700mAh and the Pixel 2 XL battery is sized at 3520mAh. Sure, these new Pixel phones may not have some silly amount of RAM or dual cameras, but these phones feel like the first complete smartphone packages from Google. There really doesn’t seem to be anything missing, with a few exceptions that we have listed in this review below. However, Google has delivered water resistance, hardware that feels oh so good in-hand, plus dual front-facing speakers that everyone should enjoy. 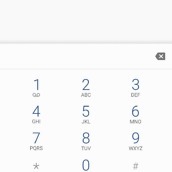 One of the main reasons anyone would want a phone from Google is the software, I would hope. 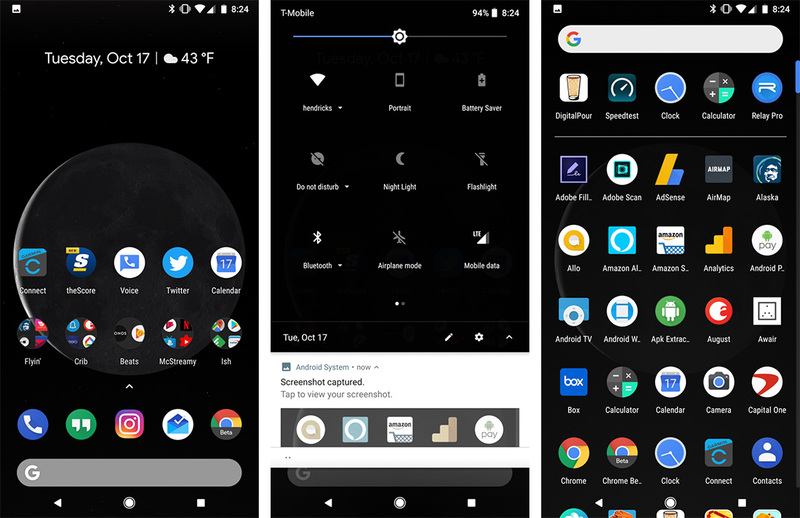 You’re getting the latest build of Android, Oreo, right out of the box, 3 years worth of major OS updates in a timely manner straight from Google, and no skin that makes your phone feel sluggish and janky. It really is something to love. 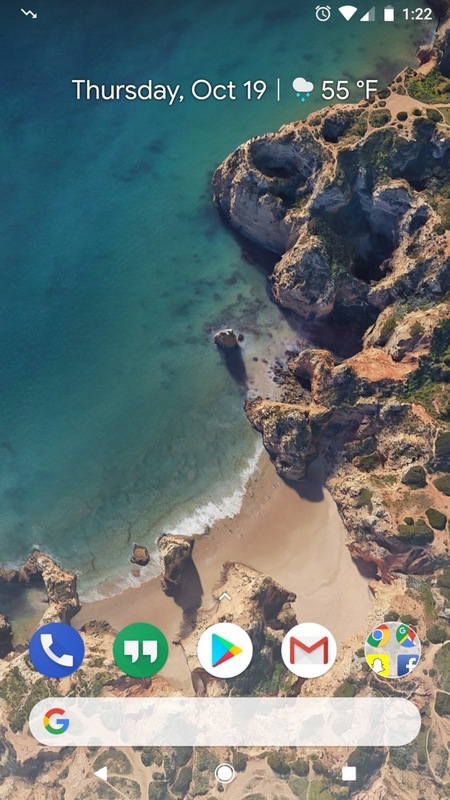 Over the course of the past week that I have used the Pixel 2, I have forgotten about all other OEM skins and now all I ever want is Google’s custom Pixel experience. The software is smart and damn smooth. 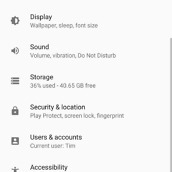 For the most part, you’re getting a minimal, yet feature-rich experience, with Google building custom tweaks on top of AOSP. Essentially, it’s like what Motorola was doing for a bit, adding minimal changes and software enhancements on top of a pretty plain OS. 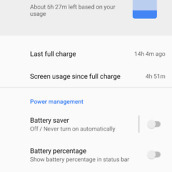 On the Pixel 2, Google nails this, providing helpful features on top of a Oreo. 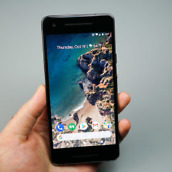 The Pixel 2 and Pixel 2 XL feature special things like Ambient Display (now with an always-on mode), a Night Light mode, Active Edge for quickly accessing Google Assistant, a revamped Pixel Launcher, intelligent theming whenever you change from a light to dark-colored wallpaper, Now Playing that automatically identifies songs playing in the background of your environment, as well as a polished Picture-in-Picture mode for select applications (YouTube, Google Maps, etc.). 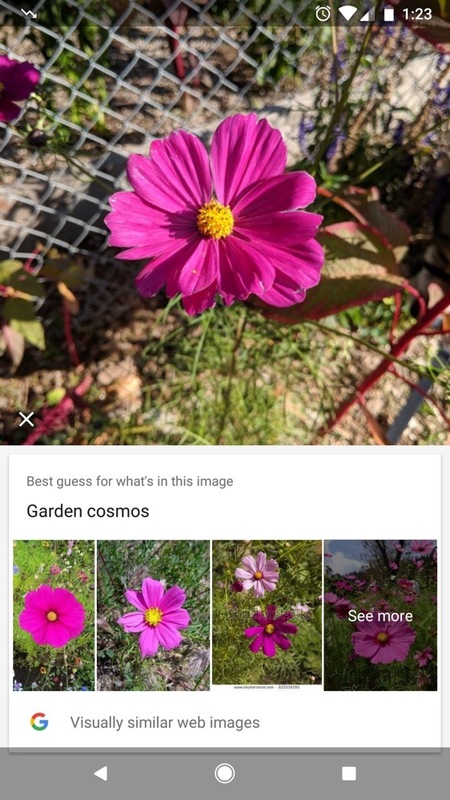 The Pixel 2 and Pixel 2 XL also come preloaded with the first iteration of Google Lens, which takes your existing photos, then basically runs a background check on them to deliver information straight from Google Search. 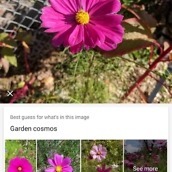 For example, Google Lens can recognize dog breeds in a photo, types of trees, or landmarks. It’s pretty cool, but I feel as if I have little use for it in my daily life. Maybe if I was traveling abroad or something like that, it could be very helpful at identifying certain things. 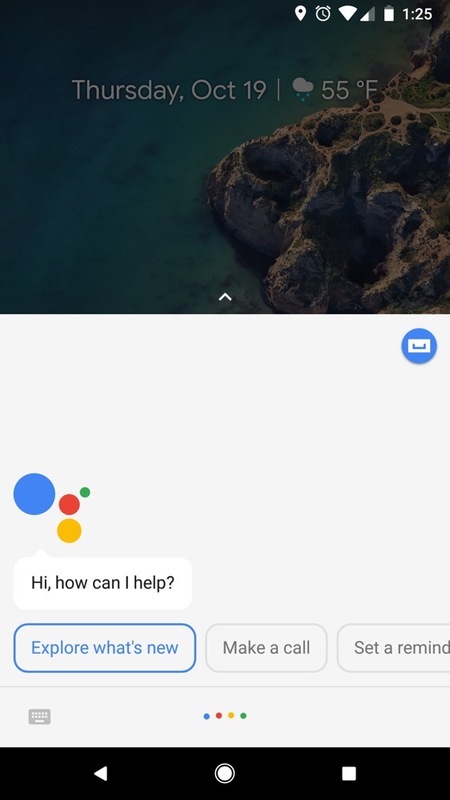 Another important aspect of the new Pixel phones is Google Assistant. Accessible via the same long press of the home button or squeezing the sides of your phone with Active Edge, Assistant is becoming a very powerful tool. I truly thought Active Edge would be gimmicky, but it has surprised me. 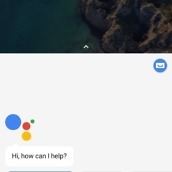 While it doesn’t do much, having quick access to Assistant is nice, plus it can silence your device if you have an incoming call. 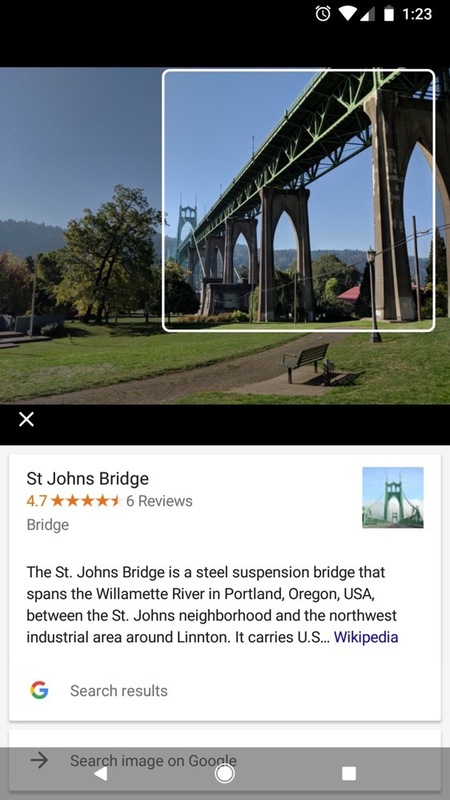 I think Google could incorporate a few more features to make it really, really useful, but this is a good start and I actually enjoy using it. 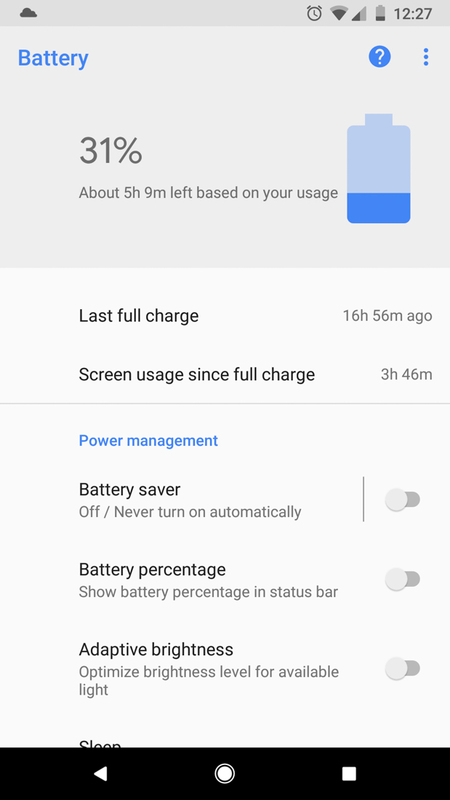 To put this simply, the Pixel 2’s software is the most refined feeling version of Android I think I’ve ever used. As I said, it’s smart, completely smooth and free of stutters, and there’s something about it that just looks and feels cool. 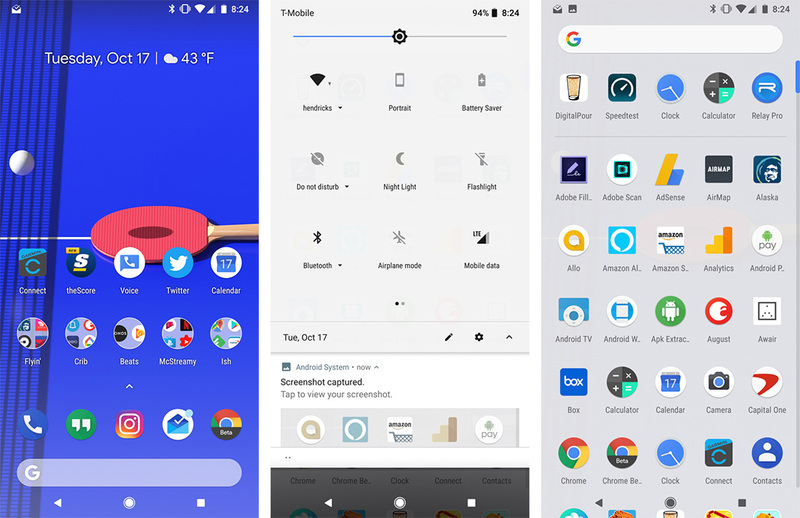 You don’t have to worry about swapping themes or icons, because Google kindly allows for all of that natively in the OS and there’s plenty of fun features to play with because this isn’t some barebones AOSP build. This is a custom software experience built atop AOSP, and frankly, I don’t know if I could use anything else after this. 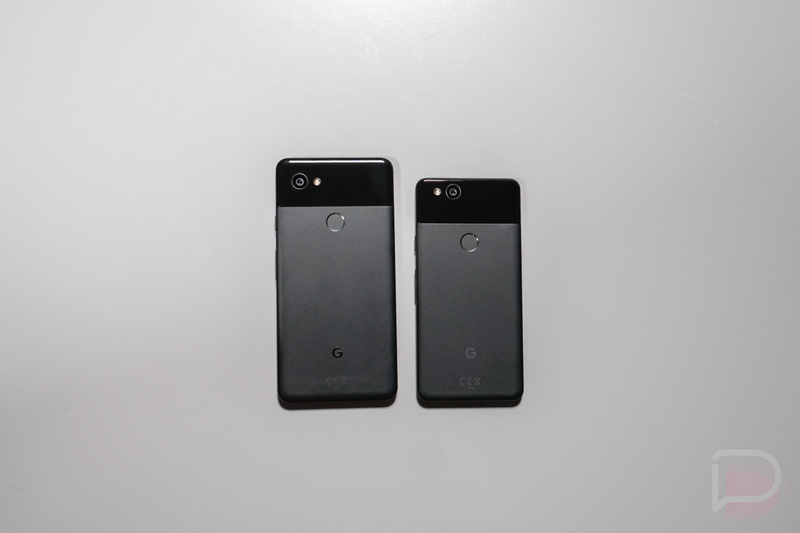 Obviously, the first big difference you’ll see with the Pixel 2 and the Pixel 2 XL is the size and look of the devices. Unlike last year, the Pixel 2 isn’t just a smaller version of the 2 XL, and I can still say that I’m bummed about that move by Google. We have two completely different hardware designs going on here. Last year, I enjoyed having the option between a big and small version of the hardware I liked. 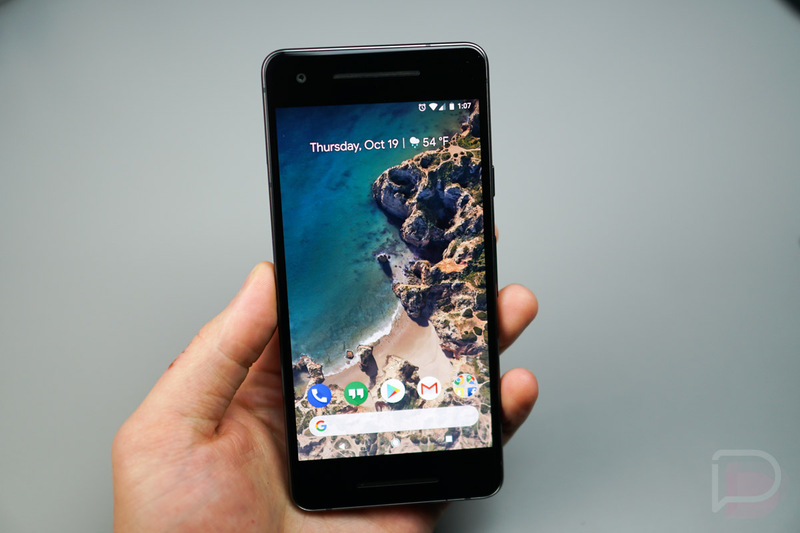 With the Pixel 2, it’s much different from the 2 XL, with massive bezels holding dual front-facing speakers and a squared 5-inch FHD display. 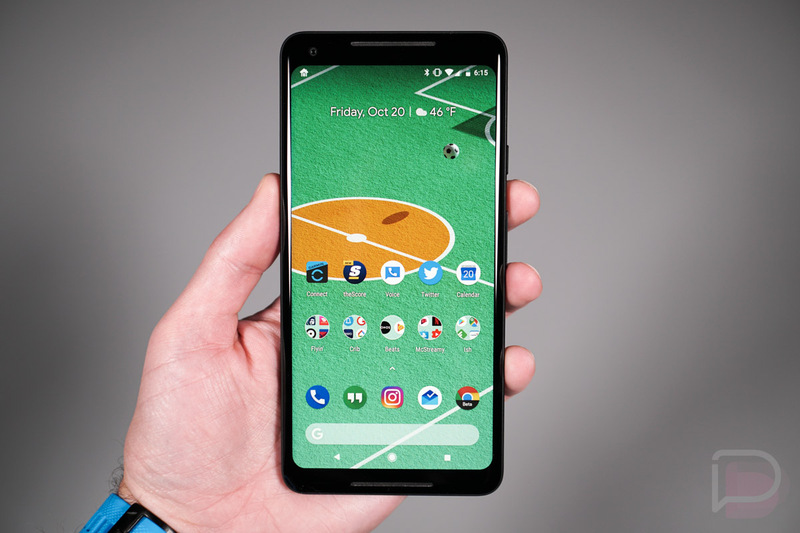 The Pixel 2 XL has a bigger 6-inch QHD display with rounded corners, plus very minimal bezel, similar looking to the LG V30. At first, I really didn’t think I’d care for a phone with such large bezels. After all, I’ve been using the Galaxy S8, Galaxy Note 8, and LG V30, all of which have very minimal bezel. Coming from those phones, with rounded corner displays and glass all over the place, I didn’t quite know what to expect with the Pixel 2. As I began to the use the device naturally, I started to realize that bezels are not my enemy. In fact, it’s quite nice having somewhere to really hold the device when I’m playing a game or watching a video. Couple that with the huge, loud front-facing speakers and you have yourself quite the pocket-sized entertainment system. 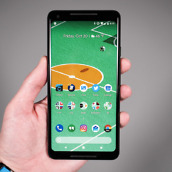 This isn’t to say I’d prefer the Pixel 2 not have smaller bezels, because I would, but I don’t want to get hung up on something I can’t change. Point being, the Pixel 2 feels great in-hand, with a solid weight to it for how small the phone is, a brushed metallic backside that feels really nice to hold, and a perfectly placed fingerprint reader that makes me really wonder what Samsung was thinking this year on the Galaxy S8 and Note 8. The Pixel 2’s hardware just feels good and the bezels have grown on me. What can I say, I’m adaptable, I guess. While Tim got stuck with the 2015-design Pixel 2, I did have the luxury of using the bigger, more modern Pixel 2 XL. 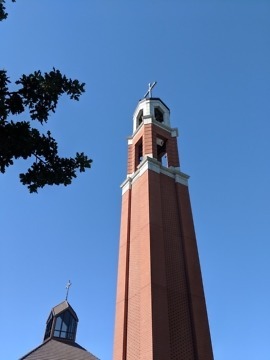 Is it a beacon of beauty? Well, it’s no Galaxy S8 or V30, but it’s not bad! In fact, it’s mostly a joy to look at. 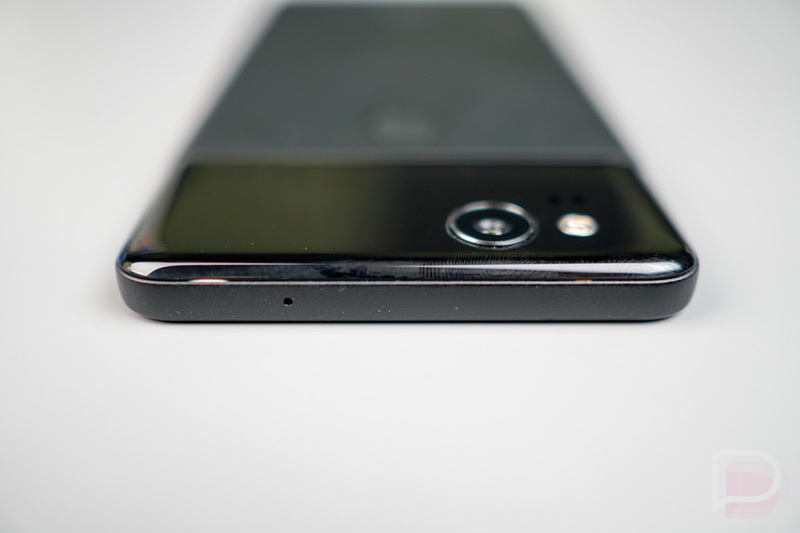 The bezel is minimal, just not on par with those two phones I just mentioned. So if you were looking for that full edge-to-edge design of say the Note 8, you won’t quite get that here. It does have a really nice curve to the top glass, though, a curve that almost adds this bubble effect when you look at the phone from a profile view. That subtle curve also adds a roundness where front and back meet the sides of the phone, since the back plate curves as well, leaving you without much of a sharp edge anywhere. For sporting a 6-inch display, I’d point out that it doesn’t feel like a monstrosity in hand. That 6-inch display is encased by a metal body that is similar in size to the Nexus 6P, a phone with a smaller 5.7-inch display. So you can see that Google was able to go bigger in the display department without going, well, too big. Don’t get me wrong, it is still a very big phone and only slightly shorter than the Note 8. Keep that in mind. 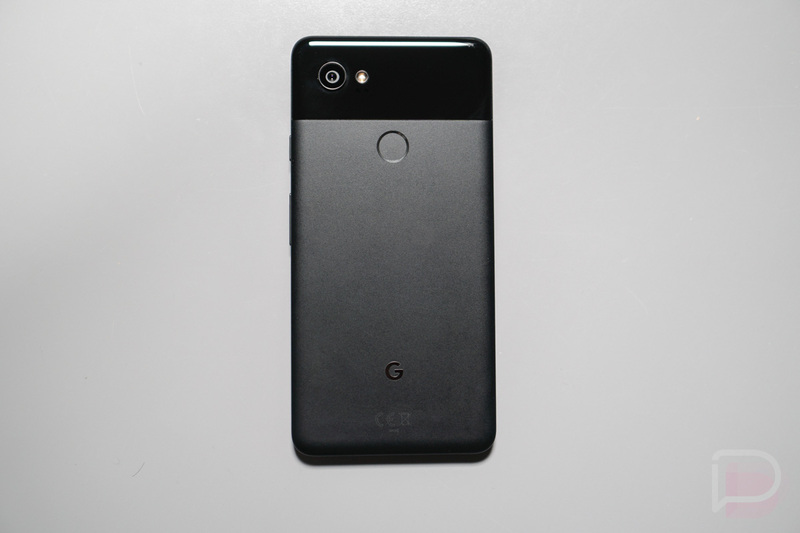 Add in the front stereo speakers, a playful color-blocked combination of glass and metal on the back, and the Pixel 2 XL ticks the boxes for a phone in 2017. 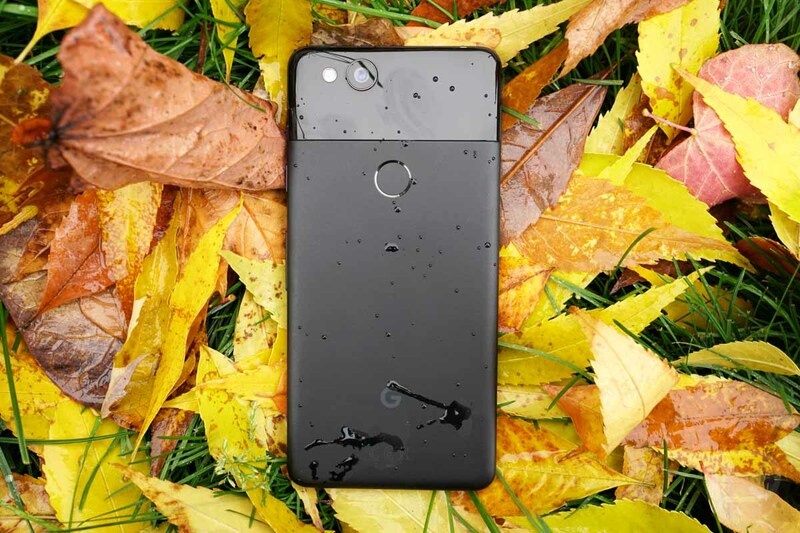 Not only that, it’s Google’s unique flavor of smartphone hardware that isn’t just another all glass and metal body combination. I like options. 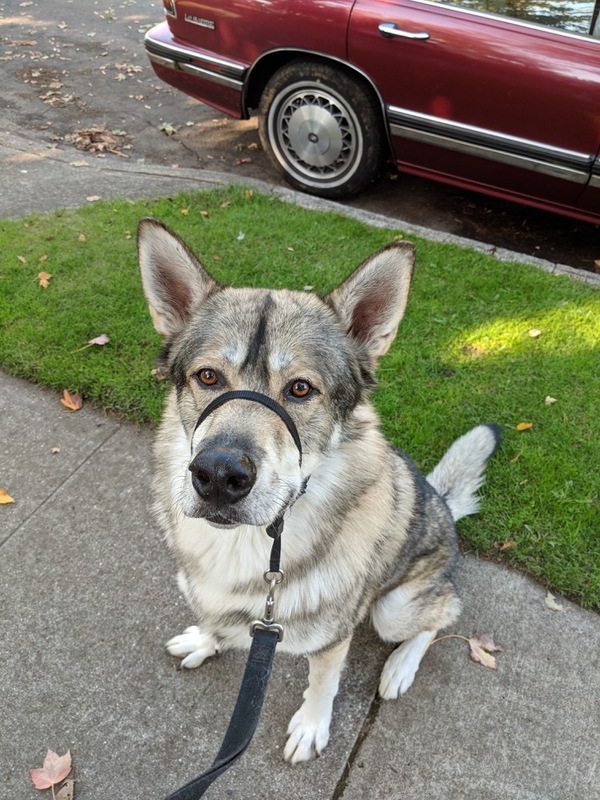 Last year, Google really outdid themselves with the quality of photos and video the original Pixel and Pixel XL were able to take. I mean, seriously, everything before the Nexus 6P and 5X were pretty bad, but the company has only gotten better at delivering a solid shooter. 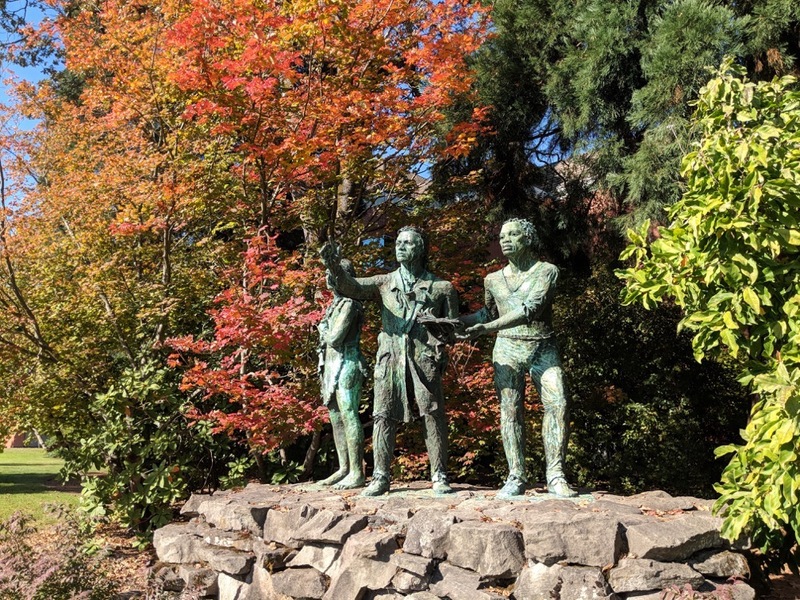 This year, it’s like falling in love all over again, with the Pixel 2 and Pixel 2 XL both able to take stunning photos in all sorts of conditions, and we have no beef with DxOMark ranking this as the best smartphone camera currently on the market. 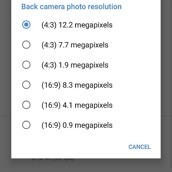 To recap, both the Pixel 2 and Pixel 2 XL use the same 12.2MP camera (f/1.8, 1.4um, OIS, EIS, PDAF, LAF). 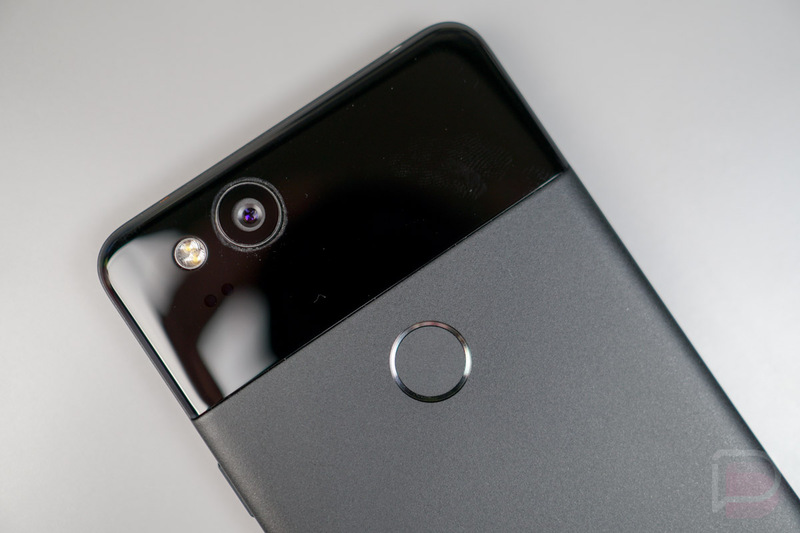 There isn’t a dual camera setup here like in most other top smartphones, yet that hasn’t held the camera back at all, since Google seems to really be finding a groove in how its phones process pictures. They might be the best in the business at it right now. Let’s also not forget that each phone has Google’s first custom chip inside called the Pixel Visual Core. This is an image processing unit that isn’t even turned on at this point, but will offer 3rd party camera systems access to Google’s HDR+ magic, as well as new future camera features, once it goes live. To me, what makes this a special camera is its ability to really capture the same scene your eyes see. A lot of the time, you’ll have phones oversaturate or overexpose a scene, but from my experience on the Pixel 2, that just isn’t the case. 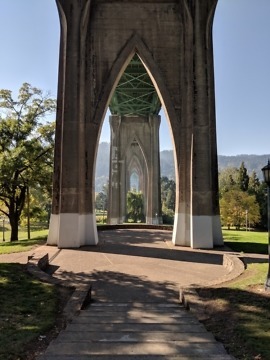 In our recent camera shootout (Pixel 2 vs. V30 vs. Galaxy Note 8), you could actually tell that the Pixel 2’s shots were somewhat darker than the others, but in reality, that was much more close to reality than what the other phones were showing. 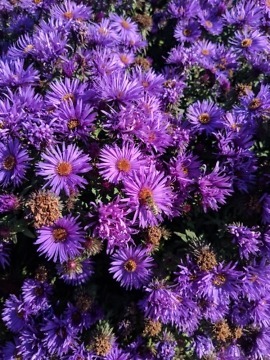 Greens aren’t looking neon, purples aren’t on the verge of turning pink, and autumn leaves are just bursting with vibrance. Seriously, I could take pictures on the Pixel 2 all day and never get tired of it. Another area we take seriously is the reaction time between us pressing the shutter and a picture being taken. Is there a delay? Does the camera stutter? For the Pixel 2, the answers are no and no. As soon as you launch the camera app, it is quick to focus on whatever is in front of you or whatever you tap on, then the shot is ready to be taken. As soon as the shutter button is pressed, the photo is snapped and you’re ready to shoot another. 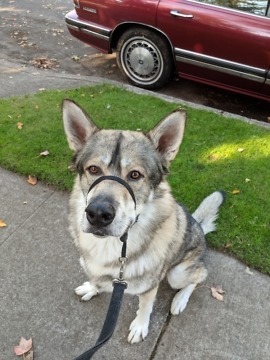 If you’re shooting pictures of a dog or child, this comes in handy when getting just that right moment to save forever. 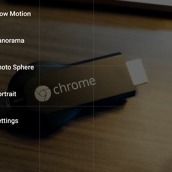 For the software, Google has included Slow Motion (max of 240FPS), panorama, Photo Sphere, and Portrait modes. 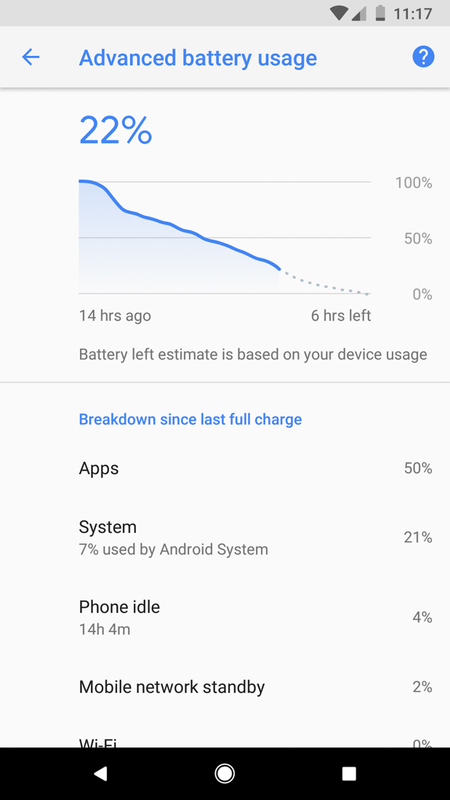 While all of this works just fine and dandy, I do wish Google incorporated a “Pro” mode or something with a bit more control over certain levels. This is something all the other OEMs are doing, such as LG and Samsung. The piece I really want is a shutter speed slider, which would allow for longer or shorter exposures for certain lighting tricks I like to perform. Since this phone is so good at cutting down noise in low lighting conditions, I really feel that a shutter speed dial could allow night time photographers to get some great shots of the sky. 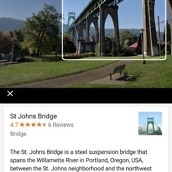 Maybe in the future Google could incorporate something like this. As for that new Portrait mode, well, it does work. I’m not huge on going around and asking people if I can take their portrait, but it seems to work fine on my dogs, so long as I can get them to stand still for 2 seconds. 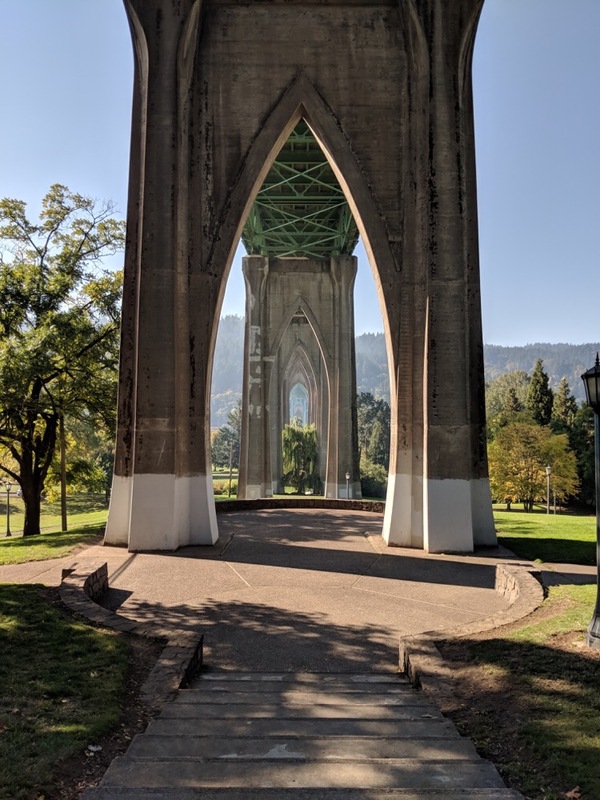 To sum up my week with the Pixel 2’s camera, it’s the best photo-taking experience I’ve had on a Google phone to date. 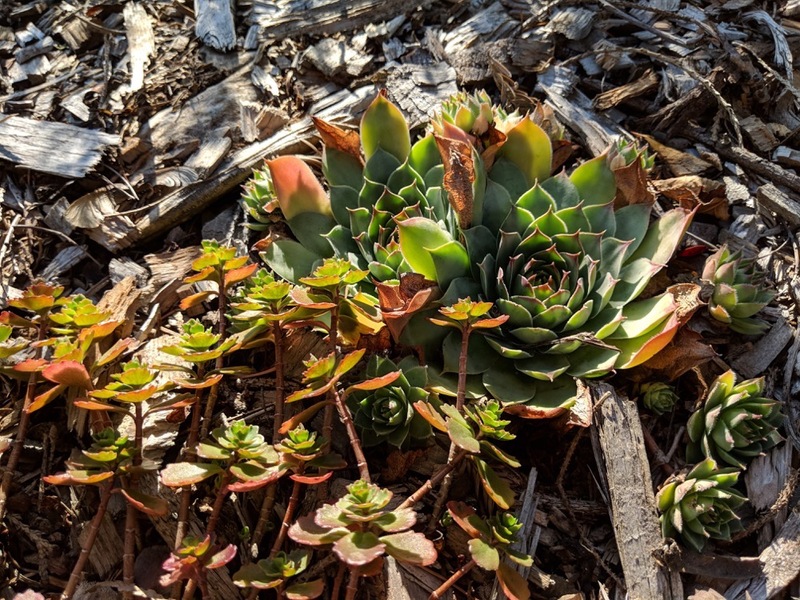 Here are a few sample shots from the Pixel 2. Over the course of the past week, I have been nothing but impressed with the Pixel 2’s battery. It’s on the small side, just 2700mAh, but it lasts all day long. Even with my constant playing of Star Wars: Galaxy of Heroes and taking pictures all over the place, I always have juice to spare at the end of the day. My typical day is 7:30AM to about 10 or 11PM and I haven’t had to plug it in during the day a single time. It’s been pretty awesome. Now, there’s no way I’m going to get two days of battery life from this phone, but getting through one day with no troubles is fine for me. 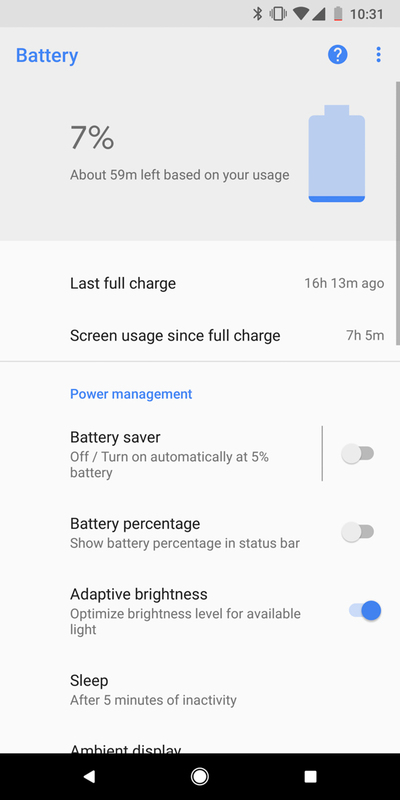 Not only does the battery last a solid amount of time, but the phone does support Rapid Charging, so if you do find yourself having to charge, it won’t take you too long to get a good amount of charge back into your phone. Battery life on the Pixel 2 XL, with its 3520mAh cell, has been better than expected. Every year, Google tells us that they’ve built more battery efficiency into the newest Android version that ships on their new hardware, yet I’m not sure it ever lives up to the hype. This year, I think it might. Not once in testing (over a week now) have I had to plug the Pixel 2 XL in later in a day after taking it off the charger. That’s actually something to brag about. I really hammered on this phone, too. 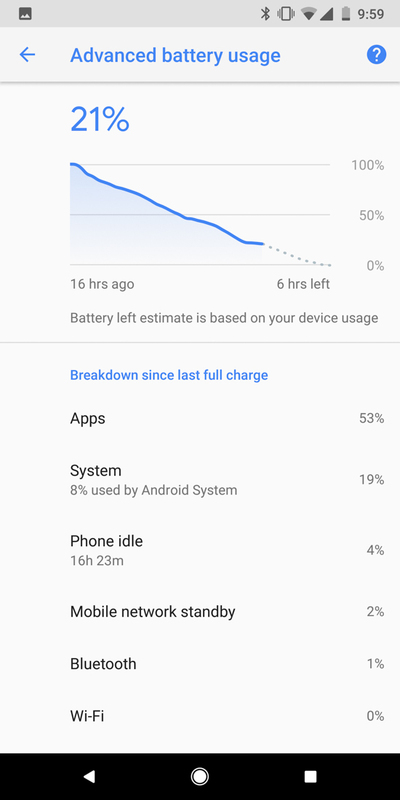 For me, a typical day is 3-4 hours of screen on time, but I went extra hard on this phone for some reason and pushed it closer to 5-7 hours each day. 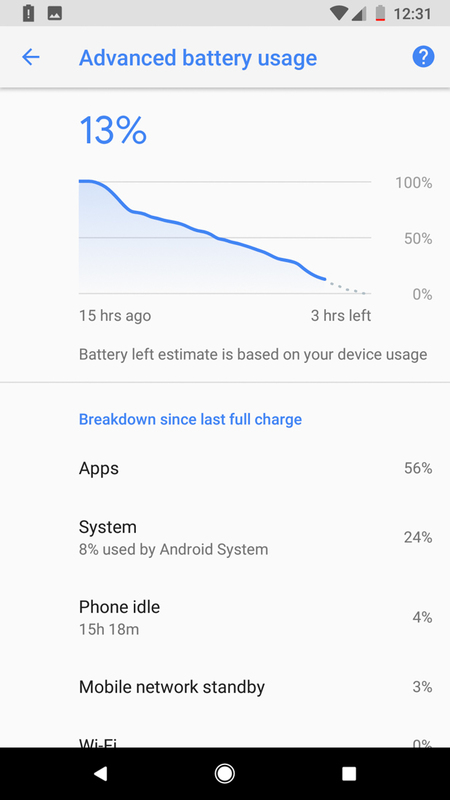 Still, not once (just like Tim with the Pixel 2) did I reach for a charger before going to bed. While that’s not 2-day battery life, I’ll take it, especially knowing this phone can charge in a hurry if I need it to. 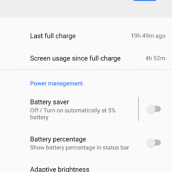 We did a complete battery overview for the Pixel 2 and Pixel 2 XL that you can see here. A Pixel phone with dual front-facing speakers? 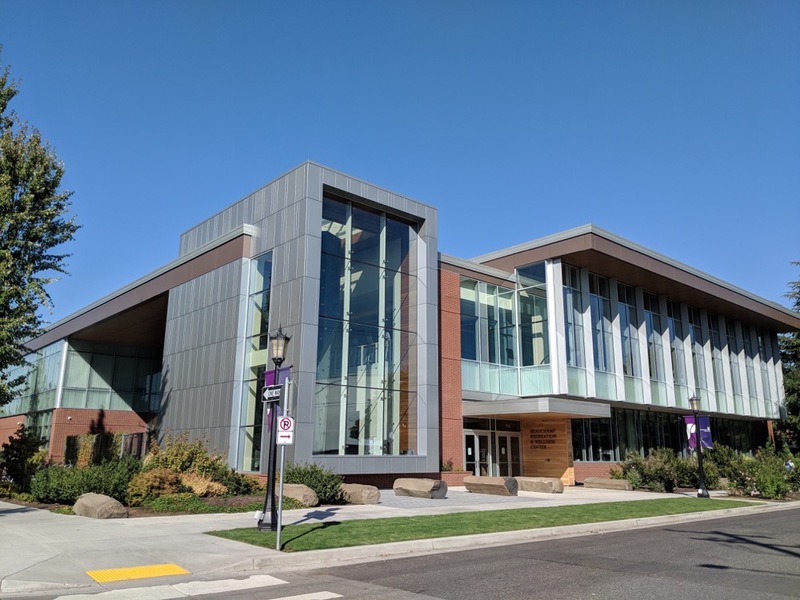 Dang, this is fancy! 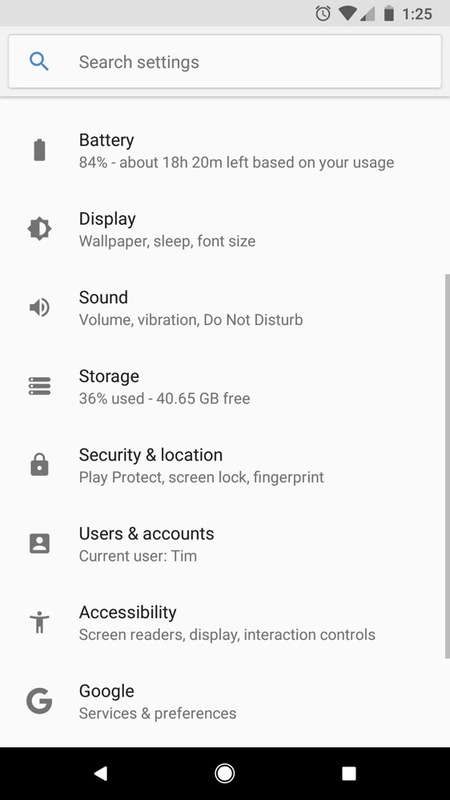 A feature I have been asking for, both the Pixel 2 and Pixel 2 XL have dual speakers, perfect for bumping your tunes, watching YouTube videos, or playing mobile games. They aren’t on the bottom, meaning no covering the speaker by accident when holding the device, and they aren’t on the back, which was never good spot for them in the first place. Nope, you’ve got one on the chin and one on the forehead, perfectly placed for consuming audio goodness. On the Pixel 2, the speakers are loud, but not overly bass-heavy, kind of like what you find on HTC devices. The Pixel 2 speakers are more catered to highs and mids, which is fine, but the sound can come across as a bit tinny depending on what you’re listening to. The point I can’t stress enough, though, is that they are loud. I’m afraid to go 100% volume because I don’t want the little things to explode. When just watching a YouTube video, I can listen comfortably at about 55-70% volume, which is a nice change from my experience on other devices from this year. While the addition of these speakers appear to have resulted in Google having to intro a bit of bezels in the design, let’s just be thankful they were included in the first place, since neither of the new Pixels have a 3.5mm headphone jack. Don’t worry, we’ll talk about that, too. 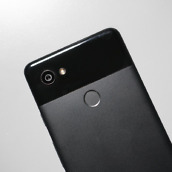 An IP67 rating is included on the Pixel 2 and Pixel 2 XL, meaning no dust/sand will makes its way into the device and the phones can be submerged into at max of 1 meter (about 3 feet) of water for 30 minutes with theoretically no damage to the device. To put it simply, you can use these phones in the rain, have them around your kitchen sink, or maybe even take a few underwater photos in the pool with no harm to the device. 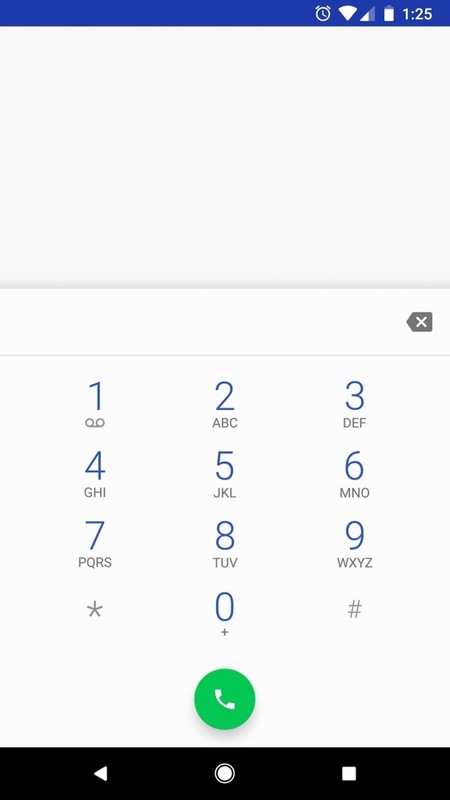 For Pixels, this is huge, as no other Google phone has had this type of IP rating. It really makes them more versatile and durable phones. 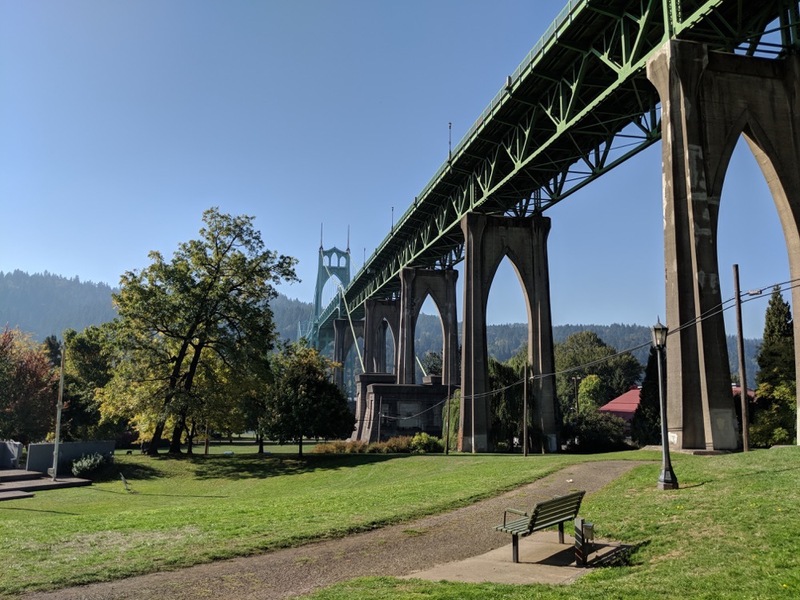 It’s almost winter time for Portland, OR, so the fact I have water resistance on this phone is a huge bonus whenever I leave the house. 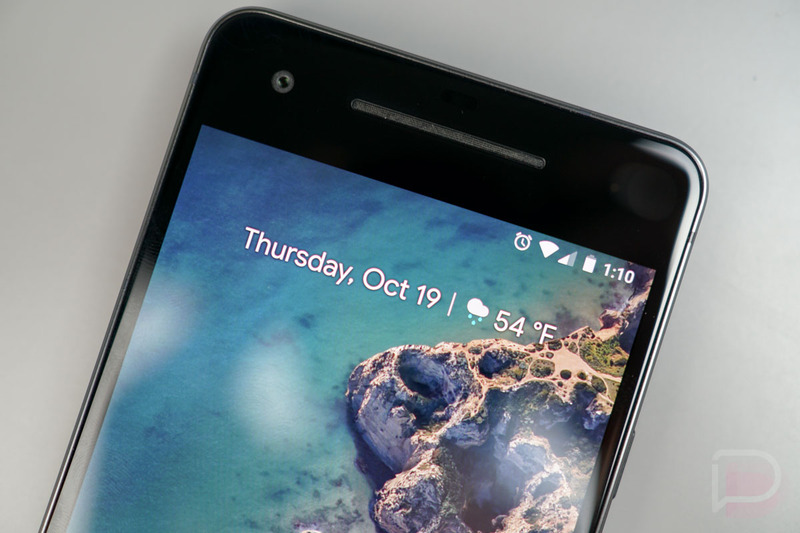 The Pixel 2’s 5-inch FHD display is fine, but nothing to get overly excited about. It’s a basic AMOLED panel, with decent colors and support for Always On software. I’ve had a few people ask if colors seem muted or tinted at all, and thankfully, I haven’t had any complaints in that department, but if you’re comparing it to the display on the Galaxy S8 or LG V30, you will see big differences. The colors just don’t pop as much as they do on those other phones, even with the option for “Vivid Colors” enabled under the settings menu. Part of me would want the Pixel 2 to have a super colorful panel to take better take advantage of its great camera, but at the end of the day, it gets the job done well. As for the 1080p aspect, that has not been an issue for me in daily usage, with exception to virtual reality. I simply can’t, even on phones with high resolutions. I used to be somewhat resilient to the effects of motion sickness, but with age has come an inability to sit down with a VR headset for anymore than 10 minutes without feeling sick. This isn’t a knock on the Pixel 2’s screen, but I’m pointing out that with the lower resolution of this display, the problem seems compounded for me. Everyone is different in this department, though. The 6-inch POLED display on the Pixel 2 XL has found itself smack dab in the middle of a controversy. Is the display flawed or is this just the way Google tuned it? Is this a bad OLED panel or will it be perfectly fine for most people? I tend to fall in the latter of both of those categories. 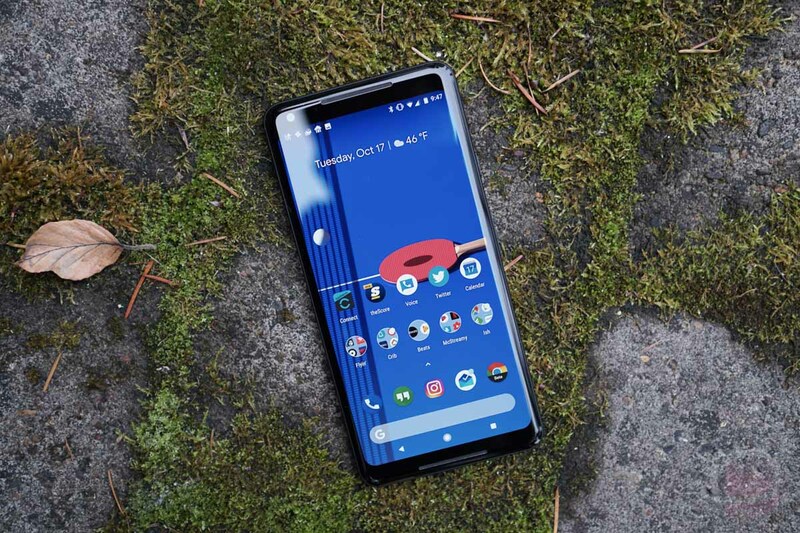 For those not familiar with what I’m talking about, you should go checkout our full write-up on supposed Pixel 2 XL display issues. There’s even a fun little video to show you what the complaints so far have been about. The basics are this – when tilted to anything not directly in front of your face, you may notice a blue tint to the panel on the 2 XL. Additionally, the colors have been tuned by Google (purposely) to a more natural, muted profile, which shows even with the included Vivid colors option turned on. Others have suggested that the display shows a gritty or dirty appearance when in extreme low light, but I haven’t necessarily noticed that on mine. So what’s the deal, is the panel bad or what? I don’t think so, no. I’m not about to tell you that this display is of Samsung quality, though, but I think most will find it to be just fine. The viewing angles are decent for the most part, and the color profile probably won’t offend you unless you are directly comparing it to a saturated Samsung AMOLED display. Also, Google says they may introduce additional color profiles if they receive enough feedback. As a big display, it’s actually pretty fun to consume content on. 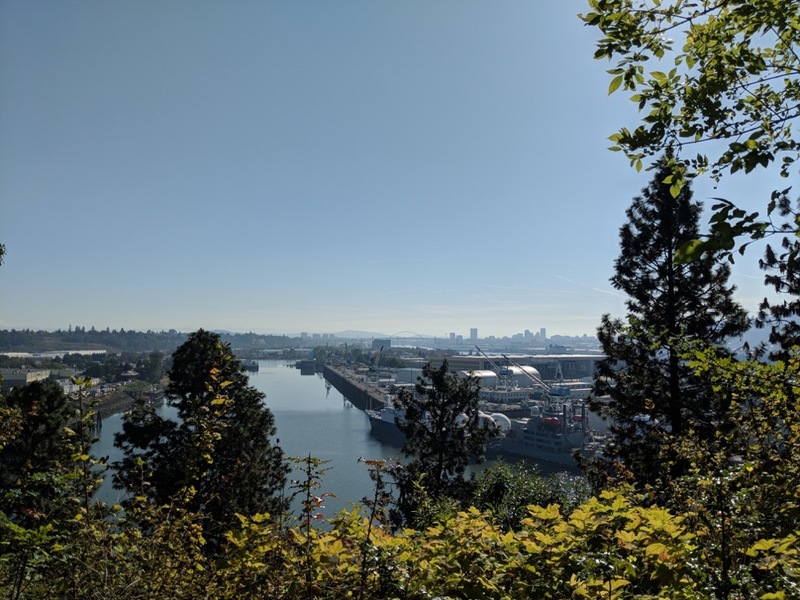 Brightness levels are OK in good light and really nice in low light, thanks to the ability to drop to a really dark setting, which I appreciate as someone who uses their phones in the darkness often. I even find touch responsiveness to be solid. In the end, the Pixel 2 XL probably isn’t going to blow your mind, yet it’ll do the job. 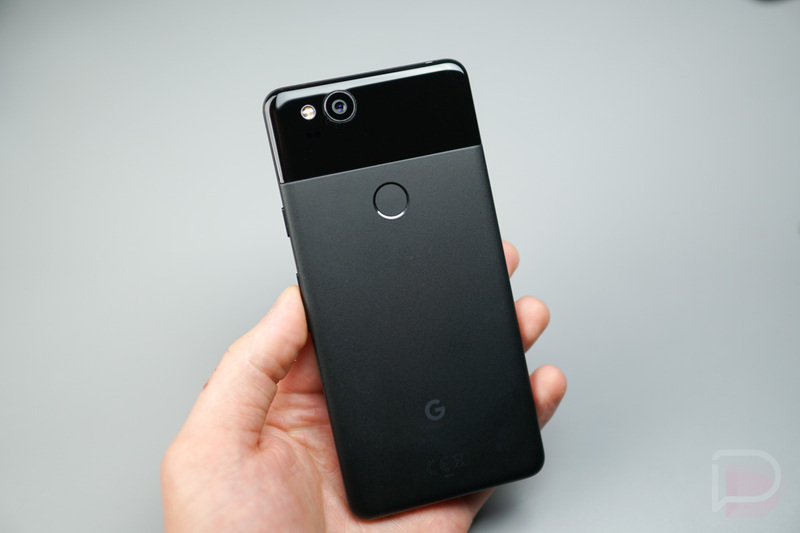 While the Pixel 2 and 2 XL is what we would label as the first complete phone packages from Google, they are missing a few things, some of which people may even see as deal breakers. We don’t, though, just to be clear. The Pixel 2 and Pixel 2 XL lack a headphone jack, wireless charging, and expandable storage. 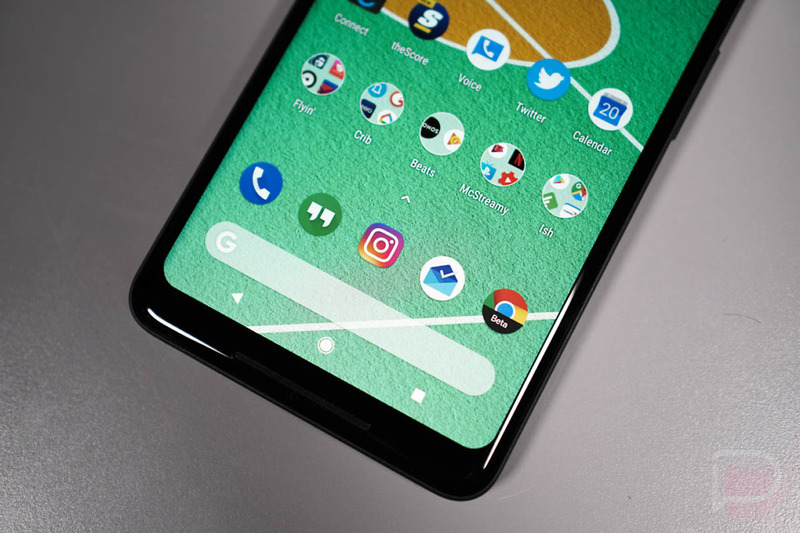 These are things we’ve talked about countless times, and if you’re pissed that Google didn’t include them, there are other phones out there that will suit your needs. While I’m not really upset or bummed at all with the non-inclusion of expandable storage or wireless charging, the lack of a headphone jack does somewhat irk me. I mean, looking at these phones, it’s not as if there wasn’t room for one, and since USB Type-C headphones aren’t included with the purchase, no company has really solved the problem that they created by removing the 3.5mm port. 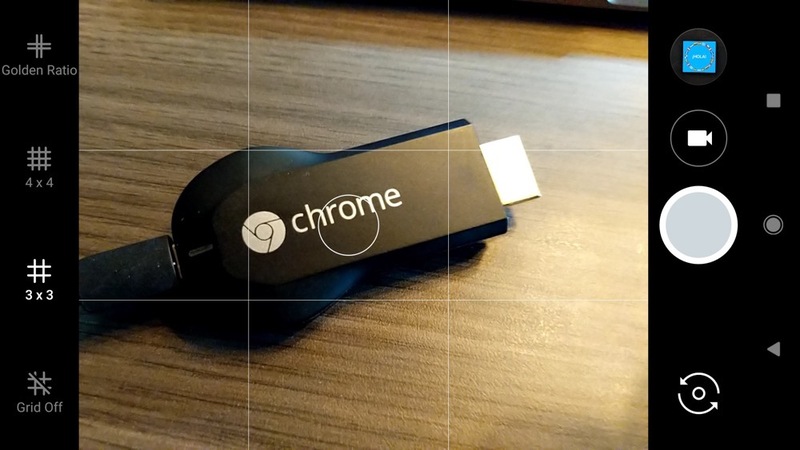 All we get is a dongle, easily losable, which would then need to be replaced for $9. 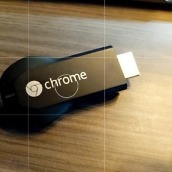 I’m fine with using Bluetooth, but it’s not as if Google created some amazing alternative to a wired experience. 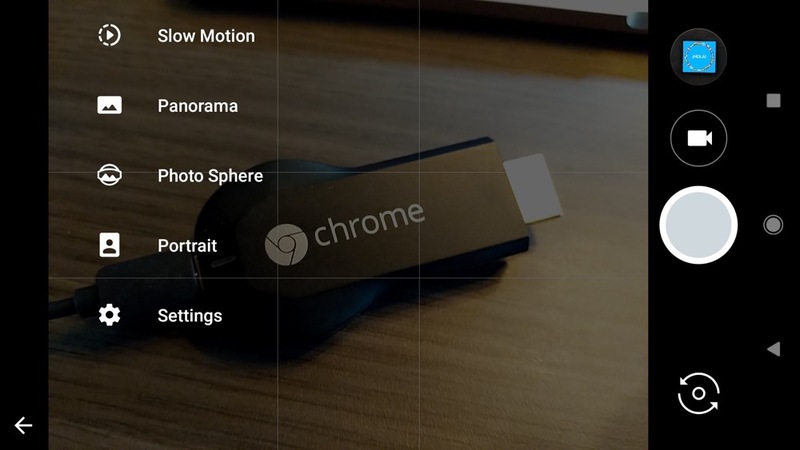 If you’re someone upset that Google excluded any of this, I’m sorry, but if you love everything else about these devices, then give them a try. I used to think no headphone jack was insane, but you just get used to it and adapt. The Pixel 2 and Pixel 2 XL are available unlocked via the Google Store or through Verizon as Google’s exclusive wireless carrier partner. Regardless of Verizon being the only carrier you can directly purchase these devices through, the phones have the necessary bands to work on virtually any carrier in the US. They’ll work on Project Fi, AT&T, Sprint, T-Mobile, or basically anywhere else. If you have a specific carrier you want to use the Pixel 2 on, but aren’t sure if they support it, hit up their customer service. The Pixel 2 starts at $649 for 64GB, with a 128GB model available for $749. 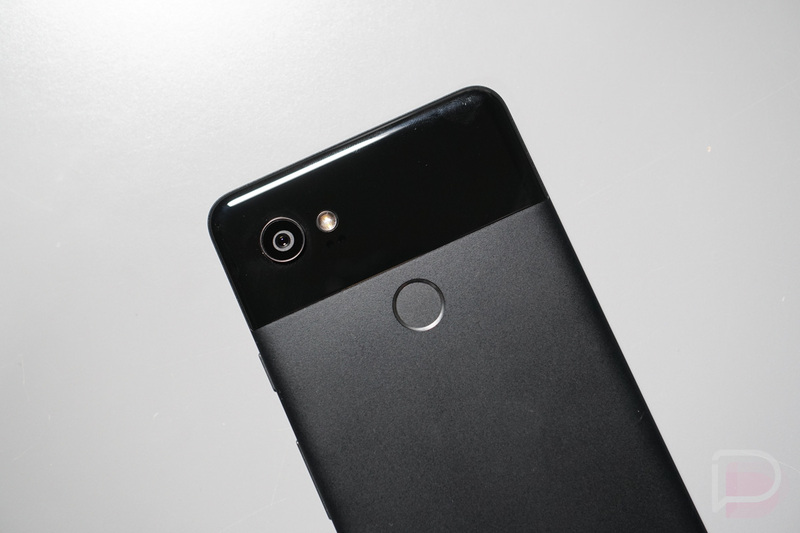 The Pixel 2 XL is priced at $849 for 64GB and $949 for 128GB. For colors, the Pixel 2 comes in either Just Black, Clearly White, or Kinda Blue. 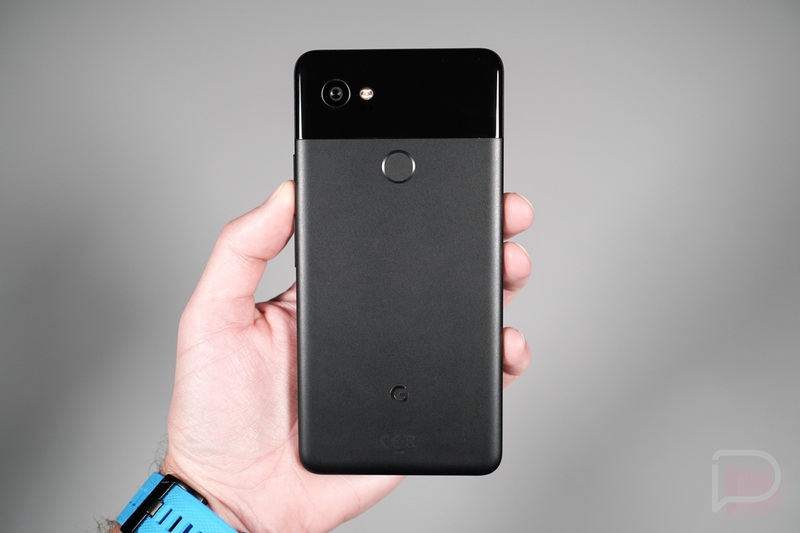 The Pixel 2 XL comes in two options: Black and White (aka Panda, aka Penguin) or Just Black. The pricing of these phones confirms that we are long past the days of what we’d label as competitive pricing. 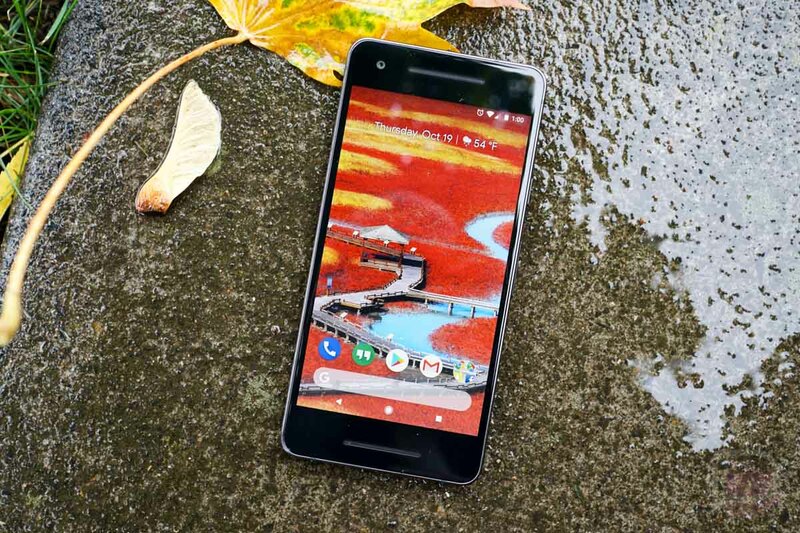 Google wants to compete with Samsung and Apple, and really, these phones can do it. They have great hardware, insanely good cameras, and a software experience that you won’t ever get tired of. 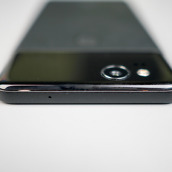 It’s a justified price for a solid Android experience. Pixel Imprint – Not only is the fingerprint reader in a good spot on the backside, but it’s super fast. Last year’s Pixel was also quite good at reading fingerprints, so I’m happy to report that it’s the same story this year. Active Edge – I wanted to quickly point out that I am a fan of squeezy sides. At first, I figured this was a gimmick, but it’s actually very useful to access Google Assistant when wearing gloves. Super handy to have onboard, but I do wish you could customize it to do more. Maybe in a future update? The Pixel 2 and Pixel 2 XL deliver smartphone packages that are arguably the best in all of Android. 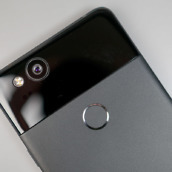 The cameras here are so good, the designs are refreshingly unique enough in a sea full of competitors’ phones built entirely out of fragile glass, their performance is as good as it gets, and the software experience is a tastefully improved Google version of stock Android that you know will always be two steps ahead of everyone else when it comes to updates. 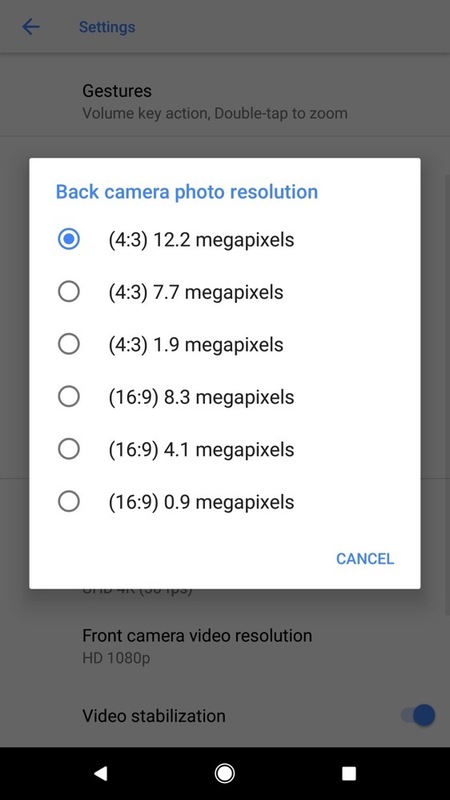 You also get choice in size of phone without giving up anything and access to whatever new Google features are introduced over the coming years. These phones aren’t without flaws, but in our view, the flaws aren’t dealbreakers and the Pixel 2 and Pixel 2 XL are going to be hard to pass on. 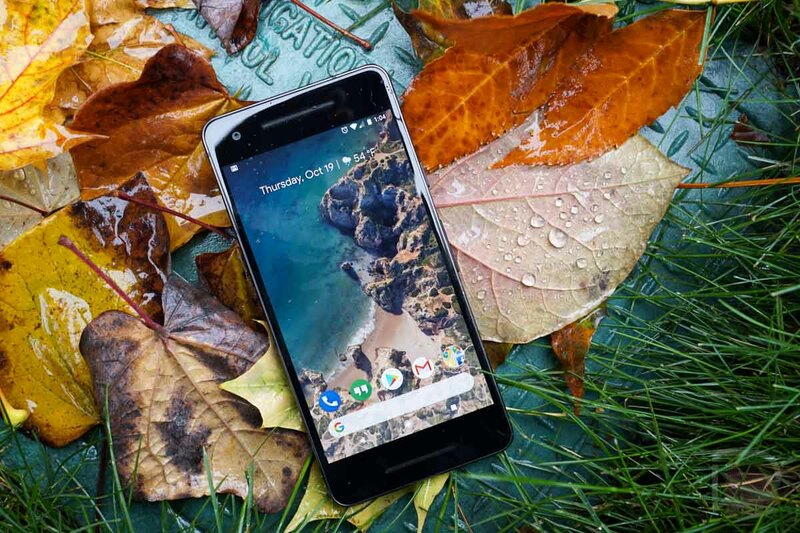 While they may not be the easiest to get, thanks to a ridiculous Verizon exclusive and frustratingly low levels of stock of select versions, closely watching Google Store availability is something you’ll have to get used to. Do we recommend the Pixel 2 and Pixel 2 XL? Absolutely.